The Owl-eyed Bike: Bikes have always been the favorite buddies of speed lovers. An enthusiastic ride by a vivacious rider makes him elude the humdrums of the bustling routine and find immense joy in the solitude derived from the speed. A great bike comes with spectacular specifications. 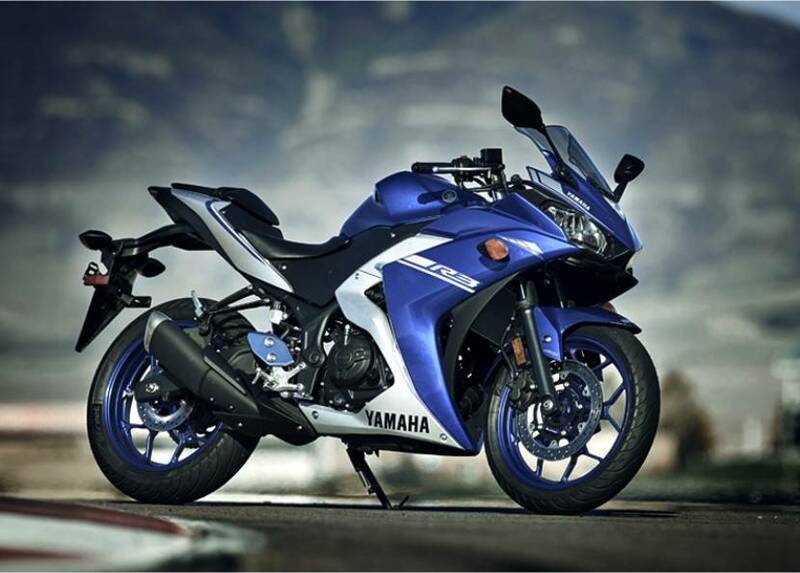 2018 has been advantageous for the bike enthusiasts, with Yamaha bringing YZF-R3 back to the Indian market after adhering to the BS4 emission norms. R3, a beginner level sports bike by Yamaha, was originally launched in 2015. It was designed by complying with the BS3 norms. The BS3 model of R3 ceased to exist in the Indian market after the BS4 norms were declared in April 2017.It was only recently that the BS4 compliant model of Yamaha R3 has been re-launched in the Indian market in Auto-Expo 2018, with the addition of a dual channel ABS (Anti-Lock Braking System) which lacked in the previous model. R3 has come up with two great colour options- Racing blue and Magma Black. Unlike the previous version, the new R3 boasts of Metzeler Sportec Interact M5 tires, which will result ultimate grip throughout the corners. The engine is mated to a six-speed gearbox. Powered by a 321cc parallal twin engine, the distinctive bike has a telescopic fork as front suspension and swing-arm as rear suspension. Alike the previous model, the butter smooth engine of 2018 R3 features two cylinders – 4 valves with liquid cooled technology.This technical beast offers amileage of 22 Kmpl and has a fuel tank capacity of 14 L. This beauty belongs to the revolutionary R series of Yamaha Motors, and it has borrowed some smart features likedirect-drive camshafts, forged pistons,low friction cylinders and more to ensure agreat low speed riding and high speed performance.Riding a R3 feels sporty as well as agile just because of it’s Diamond type frame. This compact and lightweight chassis delivers an optimum balance of strength and rigidity. The Front Spoiler Winglet of R3, with the headlights on, typically resembles the eye of an angry owl. John Abraham, the Bollywood star and the brand ambassador of Yamaha in India, who himself is a great motorcycle lover, calls R3 an ‘Aspirational Bike’ during its launch in Auto Expo 2018. The actor adds that R3 is a great bike in terms of safety as well. John also speaks about the importance of wearing helmets, telling that wearing a helmet is ‘the coolest thing’. During the bike launch, we also come to know about the release of his movie ‘Parmanu’ on April 6. Acontemporary release of Yamaha R3 is Yamaha R6, anticipated as one of the best performing sports bikes in 600 CC segment, also showcased in Auto Expo 18. One of the greatest rivals of Yamaha R3 could be the Ninja Green coloured Kawasaki Ninja 300, with a displacement of 296cc, though it has been discontinued by the manufacturer company. Benelli 302R is yet another competitor of R3 with a displacement of 300cc. KTM RC 390 has a displacement of 373.2 and is also competing with R3 in the market of performance bikes. Some other latest bike launches in India are 22Motors Flow, BMW F 850 GS, BMW F GS, Hero HF Dawn 2018, Kawasaki Vulcan S, TVS Apache RR 310, etc. Bikes make riders pave their ways in style, especially when they come with enhanced features like ABS. Yamaha YZF R3 2018 promises an interesting and enthralling experience to every enthusiastic rider. The smoothness and flexibility of the bike is going to provide a seamless ride exposure, assuring to make journeys memorable by setting the ‘go and set the road on fire’ kind of feel. One should always remember to wear helmets and riding gears while riding a sport bike like this, as safety should always come first. Lastly, as Yamaha says…. It Revs Your Heart.